it is my route that follows me." April 24th, we left the high elevation of Taos, New Mexico (6,969 ft.) for a slightly higher elevation in Pagosa Springs, Colorado (7,126 ft.). The drive north was absolutely beautiful. Our stop for 4 nights at a Wyndham resort was all about D scoping this area out for bike riding. The Pagosa area is known for its hot springs, year-round outdoor activities, brilliant fall leaf color, and the surrounding views of the big San Juan Mountains. 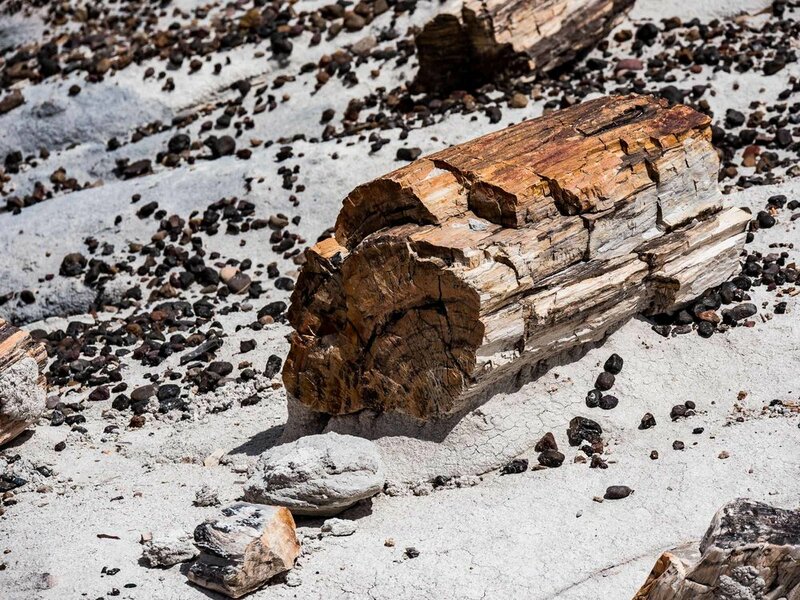 We enjoyed taking in the beauty of the area and look forward to a return visit. Oh, and D says the dirt riding was some of the best mountain bike riding he’s had! When we left Pagosa Springs on April 28th we drove west and saw Chimney Rock National Monument from a distance. It’ not open until May 15, so if we’re back through here in the fall, it will make an easy day trip from Pagosa Springs. Before heading to our destination south, we continued just a short drive to Durango, where we visited last year. We just had to stop by and have a French pastry and coffee again at Jean Pierre Bakery & Restaurant. We sat outside, enjoyed the late morning sun, our goodies, and the people watching before we hit the road south to Chinle, Arizona. 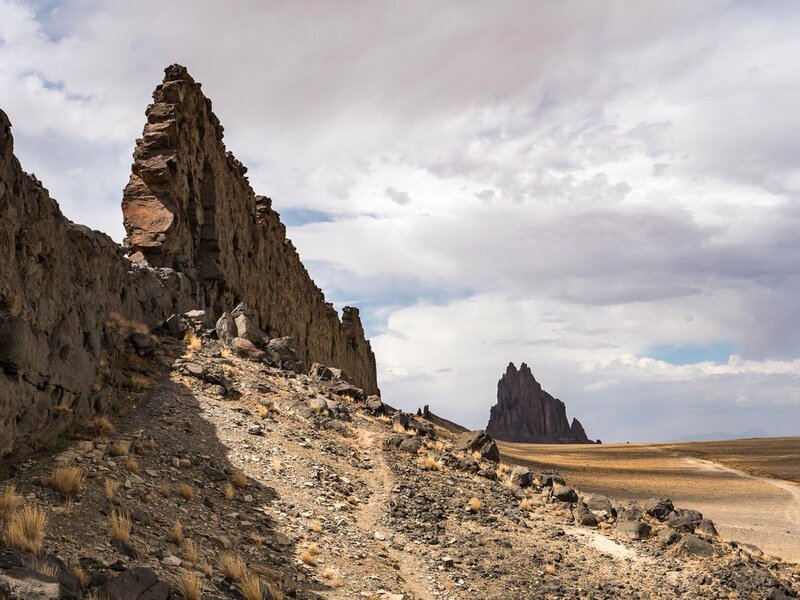 We passed through the northwest corner of New Mexico and stopped to snap a few photos of the amazing Shiprock. 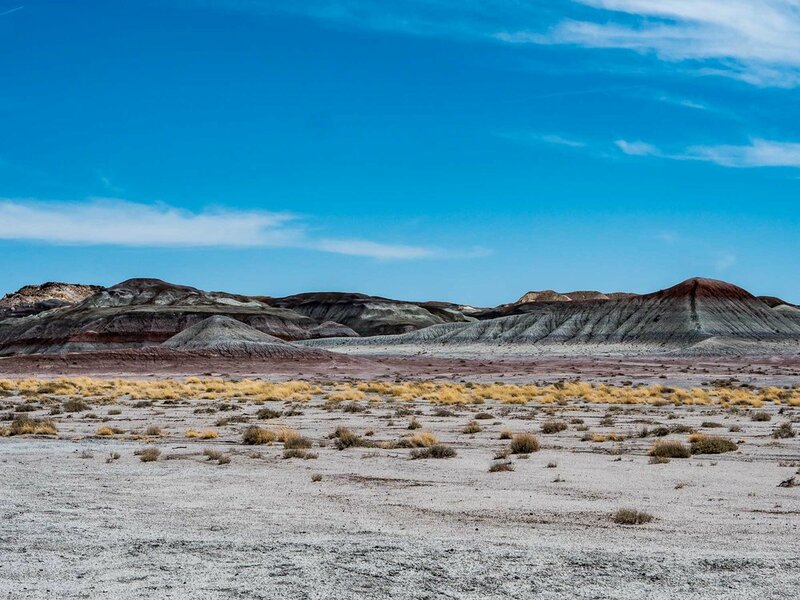 Then we drove through the Red Valley into the northeast corner of Arizona dodging goats, dogs, cattle, and wild horses who wander the open range lands. We were here to see Canyon de Chelly National Monument. When we drove into Chinle from the north we couldn’t even see into the canyon due to the major dust storm blowing. The next morning the wind died down, but we only had a few hours to get into and back out of the canyon before the winds kicked up again for the rest of the day. 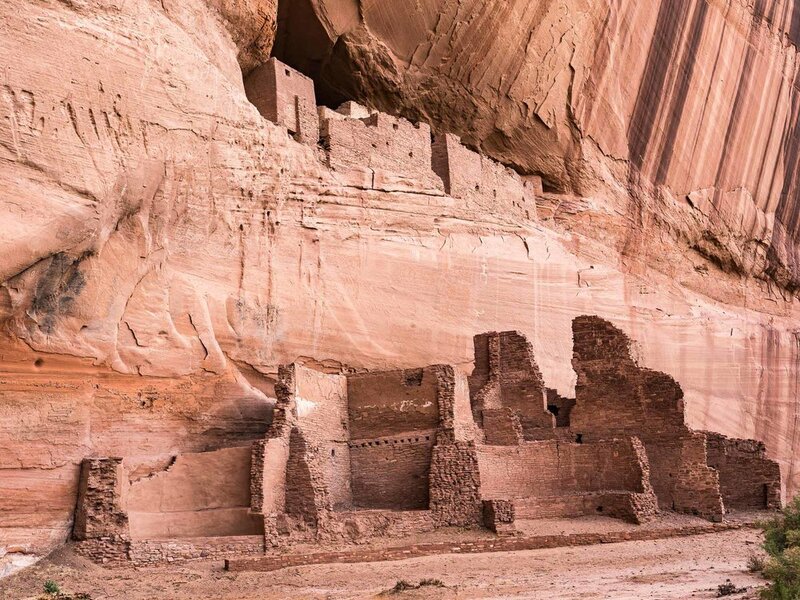 This National Monument is rather unique as it is within the Navajo Reservation. 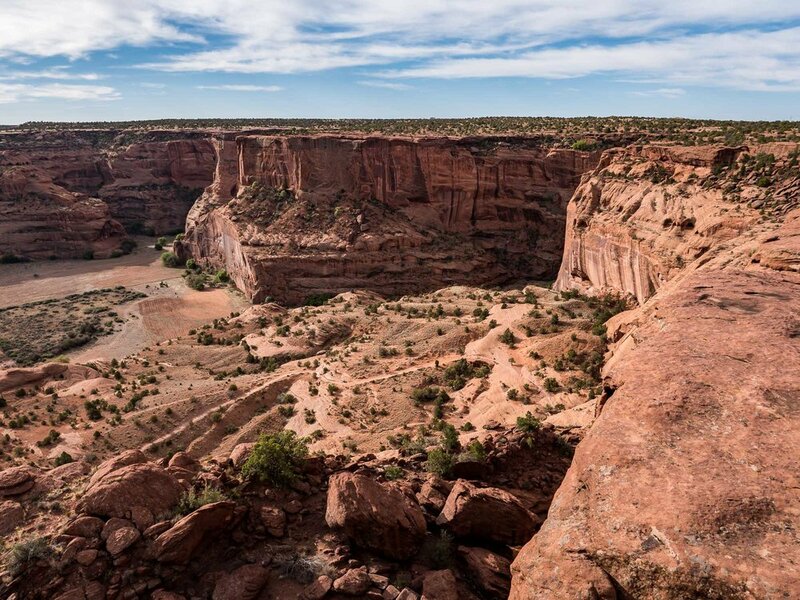 While the monument is run by the park service, the canyons are home to the Diné (Navajo). 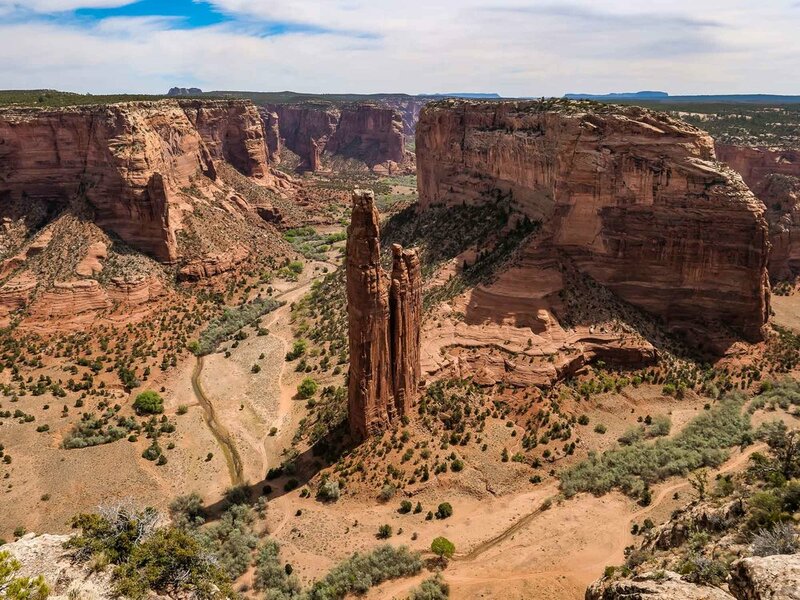 The labyrinth of canyons includes Canyon de Chelly and Canyon del Muerto. The cliff walls are anywhere from 30 to 1,000 ft. high. 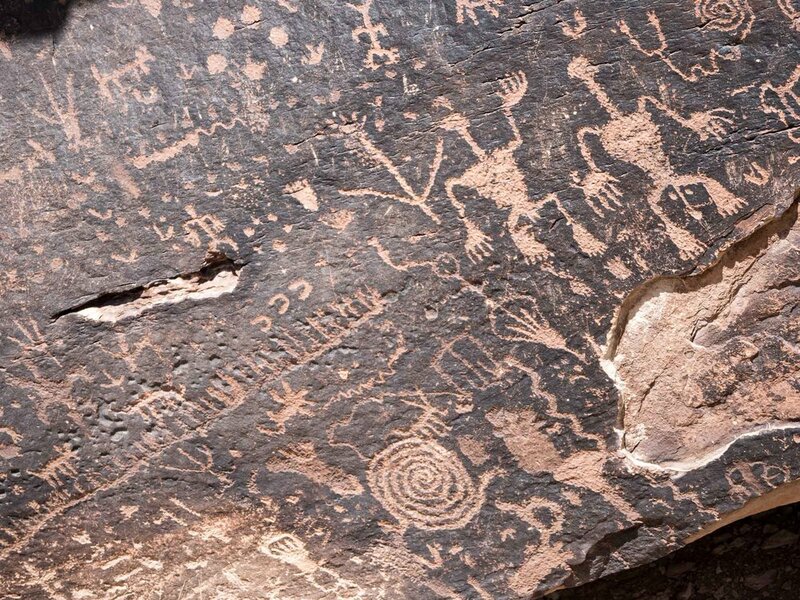 People have lived here for nearly 5,000 years, and there are ruins of ancient Puebloan people. 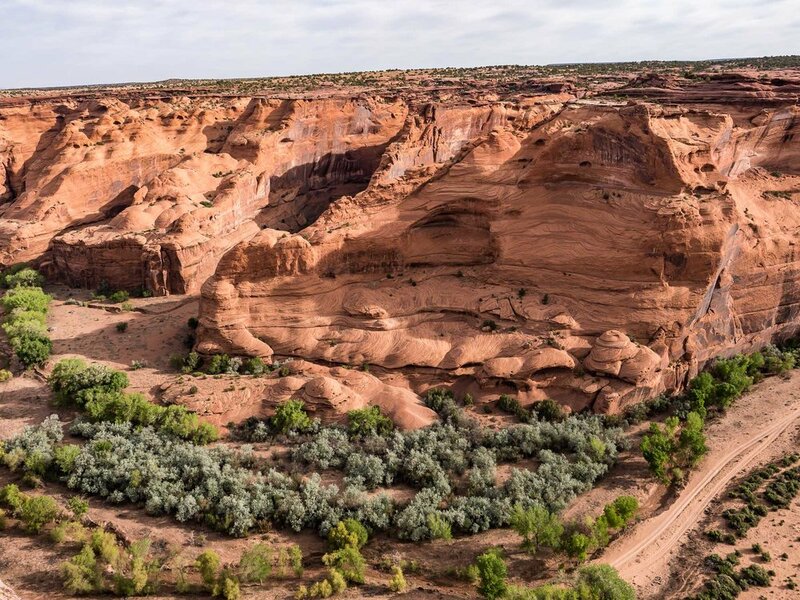 While a few Navajo live in the canyon during the year, the summer brings approximately 50 families to the canyon floor so they may farm corn, raise their sheep and goats, enjoy the fruits of their orchards, and carry on traditions. Only Navajo are allowed within the canyon unless you are with a guide. 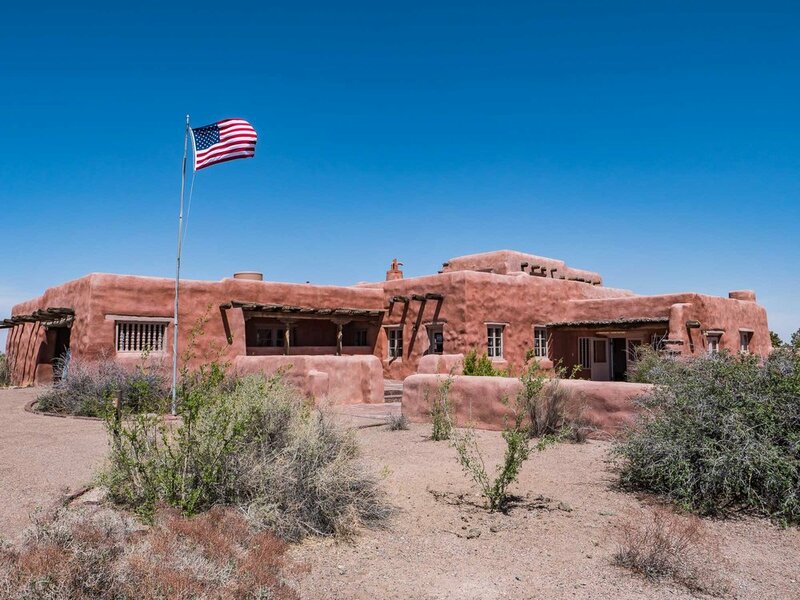 There is one allowed access without a guide to the ancient Puebloan White House. The hike down and back took us about 2 hours. After enjoying the beauty of the canyon, we drove to the many outlooks along the rim. The 30-40 mph winds kicked up but did not block our views. We were out and about for 6 hours and by that time we had been wind and sand blown enough! Fortunately, we’d seen what we had come to see. 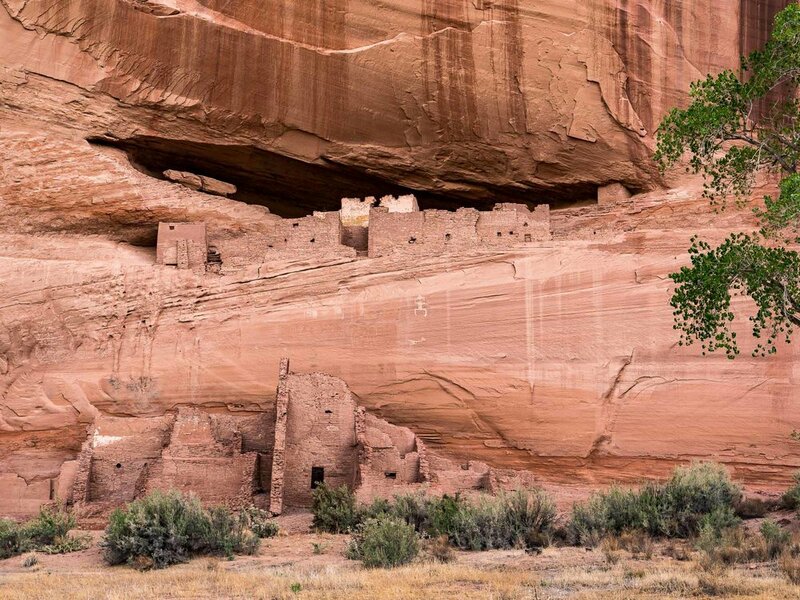 Just a two-hour drive from Canyon de Chelly is the Petrified National Park, home to the highest concentration of petrified wood in the world. 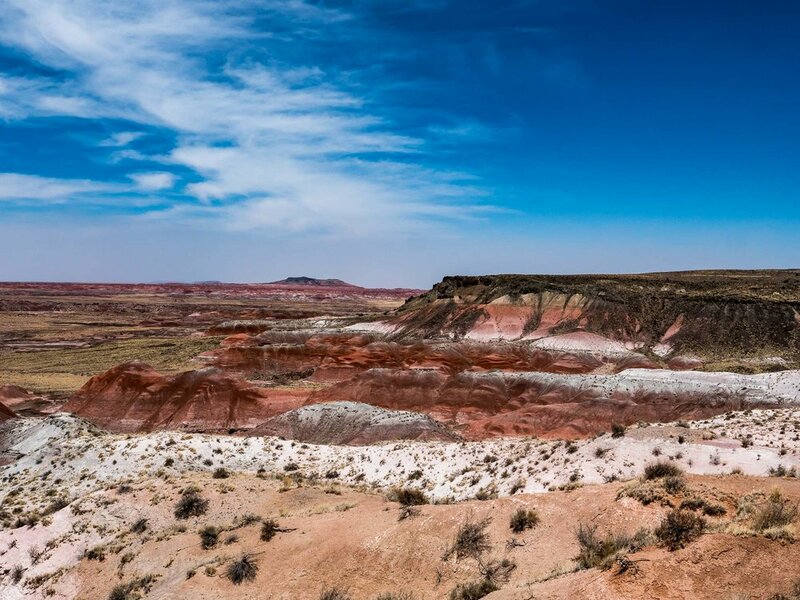 The 28-mile long park road is located in the greater Painted Desert that is 120 miles long. 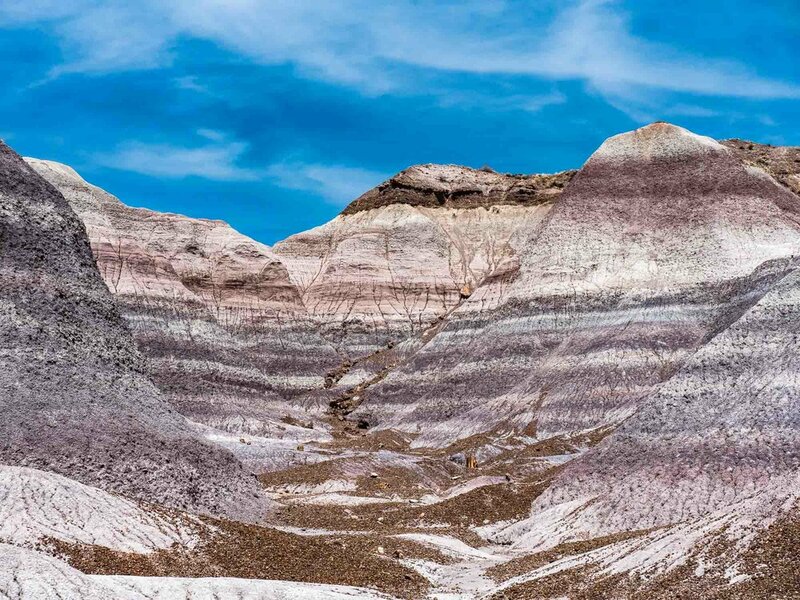 The north end of the park road has the best views of the painted desert, while the south end has more petrified wood. The famed Route 66 once cut through this park, and they’ve honored this fact by having an exhibit with a 1932 Studebaker. 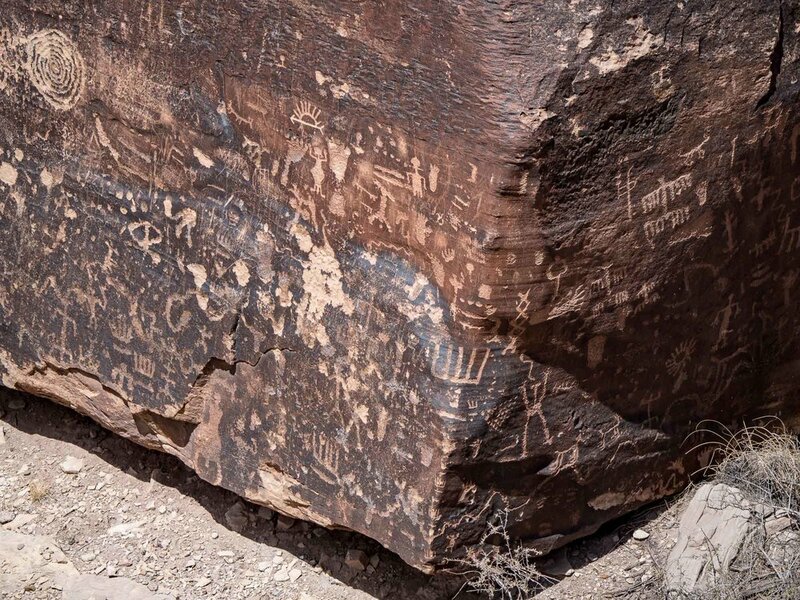 The drive alone was a must-see, but there were also trails to hike, 650 petroglyphs (some as old as 2000 years), and two museums (one being an old trading post turned museum). We spent 4 hours there then moved on down the road for the night in Holbrook. Thanks for joining our journey. The continuing story of our life on the road. We've sold the house, packed our bags, and now we've hit the road. What next? "We don't know where we are going, but we are on our way!" Sign up with your email address to receive the latest blog posts right in your inbox. We respect your privacy. Your email address is only ever used for notifications about updates to the blog. No spam here! Thank you! For your protection and ours, a verification email will shortly follow. 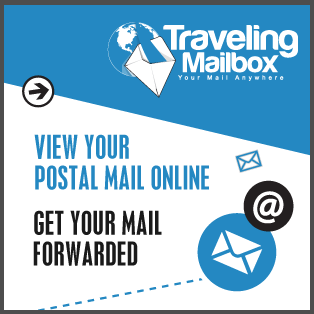 Please click in the verify email to be added to the mailing list. Subscribe to blog posts in your RSS Reader.